Dr. Ken Blanchette is currently the Associate Vice President Academic for St. Clair College. His portfolio encompasses the operational oversight and delivery of the academic programing for all three of the college’s campuses. When he joined the college as Chair for the School of Health Sciences in 2010, Ken became the school lead for a $32 million Centre for Applied Health Sciences building completion and purchasing of state-of-the-art simulation and lab equipment. In 2011, he became responsible for creating and providing opportunities for our local professionals and healthcare organizations to have the space, resources and continuing education and competency training. Since 2011, he has established collaboration with local hospitals, allied health professions, nurses and physicians and has implemented three new academic programs (Cardiovascular Technologist; Diagnostic Medical Sonography; and Respiratory Therapy), to address the local and national needs for healthcare professionals. Prior to joining St. Clair College, Ken spent 12 years as a healthcare professional providing chiropractic patient care including neurological EMG, MRI and inter-disciplinary referrals, spinal decompression as well as spinal x-ray diagnostics. Ken has a Doctor of Chiropractic, Bachelor of Science in Human Biology, advanced training in Phytochemical, Botanical medicine and their impact on chiropractic procedures from National University of Health Sciences in Lombard Illinois and a Bachelor of Science from the University of Windsor. 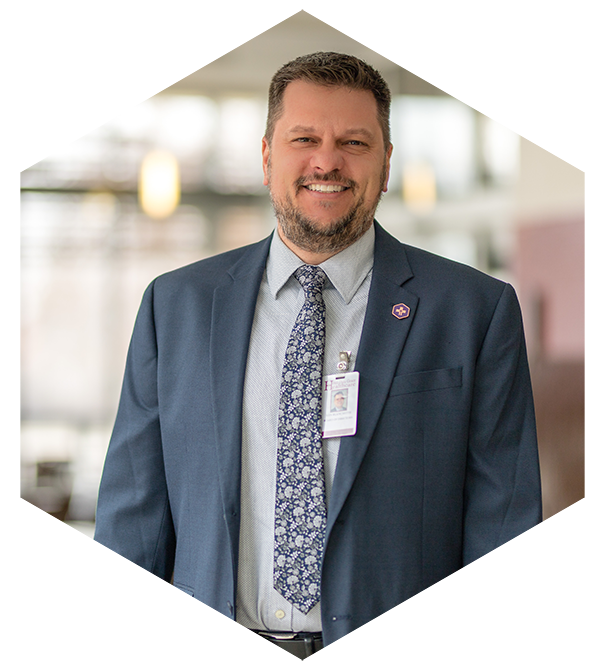 He has extensive teaching experience at numerous institutions including Everest College in Windsor, Michigan Board of Education and the National University of Health Sciences in Lombard, Illinois. Ken is actively involved in the Windsor and Essex County communities. He is currently serving as a Vice Chair of the board of directors for the Windsor-Essex County Health Unit; Co-Chair for the Health Standards Organizations Academic Health Centers and Clinical Research Technical Committee, Co-Chair for the Southwestern Academic Health Network (SWAHN) and a CMA accreditor. He has also served his home town community as a Coach for the Amherstburg Minor Hockey Association for the past 13 years.